Forget about chocolates. At St. Valentine's School in Brazil, it's vegetables that are feeling the love. It’s no secret that kids and vegetables don’t always get along. Just don’t tell that to the students at Municipal Elementary School São Valentim — Saint Valentine’s School — located in Linha Campestre, a poor rural community in southern Brazil. In April 2014, the Achieving Reduction of Child Labor in Support of Education (ARISE) program, funded by JTI and implemented by Winrock, challenged the school to transform a 70-square-meter field into a garden to improve student nutrition and awaken environmental awareness. Average income in Linha Campestre is $136 a month, and many children have diets poor in vitamins and minerals. To improve children’s nutrition, the ARISE program sought partnerships to create the Horta na Escolar (Garden in School) Project in 2014. 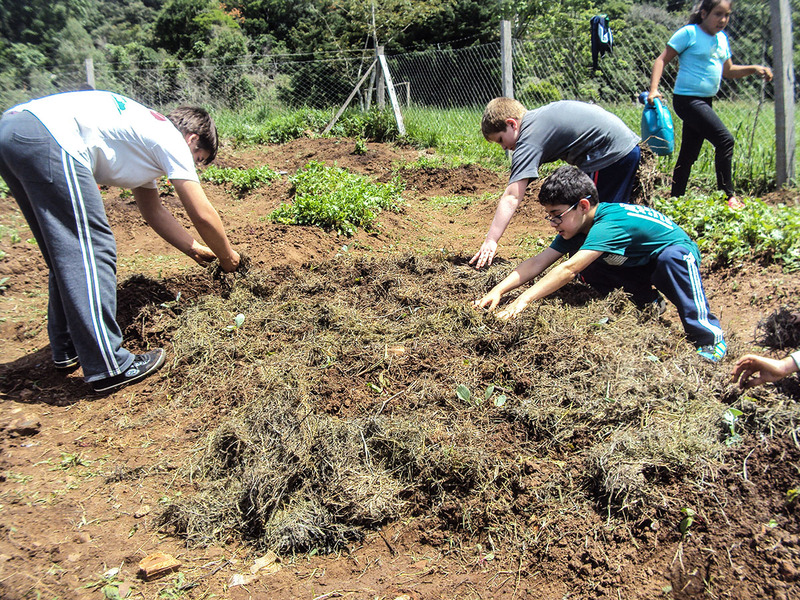 The students of St. Valentine’s get their hands dirty working in their school garden. The vegetables they’re growing are served at lunch or taken home to their families. One of the first challenges was to convince the school’s headmistress to offer vegetable gardening instead of guitar class. Once it was clear that students would like planting and weeding as well as tuning and strumming, parents were brought on board to help organize the garden site itself. 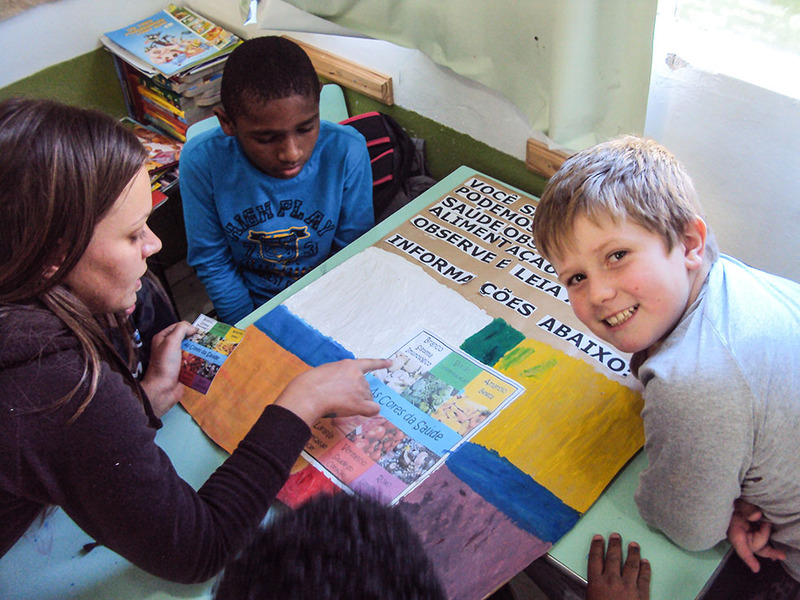 In April 2014, Winrock hired the local Brazilian NGO Terra e Vida (generating two jobs in the community) to help the school develop a garden plan, and throughout 2015 and 2016 the students planted vegetables — lettuce, cabbage and carrots — and flowers, too. The garden helps children learn about the importance of vitamins and minerals in their diets. But there was more to the garden than planting and harvesting. The vegetables enriched school meals and encouraged healthy eating habits. A workshop instructor from Terra e Vida designed weekly lessons on organic gardening, the importance of vitamins and the most nutritious plants. Children learned the nutrient content of foods, created posters of vitamins and their functions in the human body, and built a model of a vegetable garden that could be used at other schools. Headmistress Joelma Antonia Vieira says she has “immense joy” because of how much the garden helps children. But Horta na Escola’s bounty hasn’t stopped with the students. Because the children brought produce home, some families were inspired to start small gardens of their own, saving money and improving their diets. This year, the garden gets a greenhouse that will allow for the cultivation of seedlings to donate to families in the community as well as provide student activities for cold and rainy days. The parents and children of St. Valentine’s School celebrate their horta na escolar (garden in school). 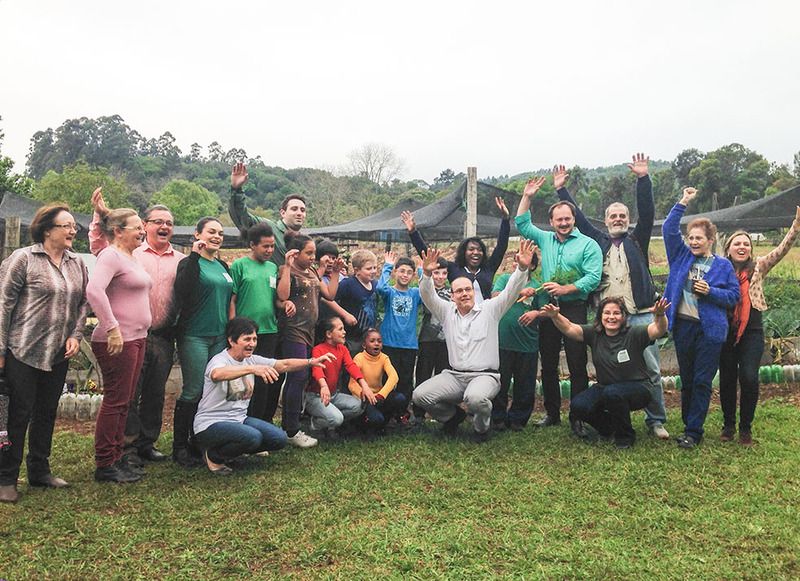 Horta na Escola has not only helped kids acquire healthier eating habits, but has also awakened in them a taste for the land, for interacting with nature. And this furthers the ARISE goal of reducing child labor in the tobacco sector by preparing youth for a rural environment and providing families with more knowledge, self-esteem and quality of life. No wonder St. Valentine’s students love their vegetables.